During the Test Coach Camp role models session I made some notes on a flip chart. 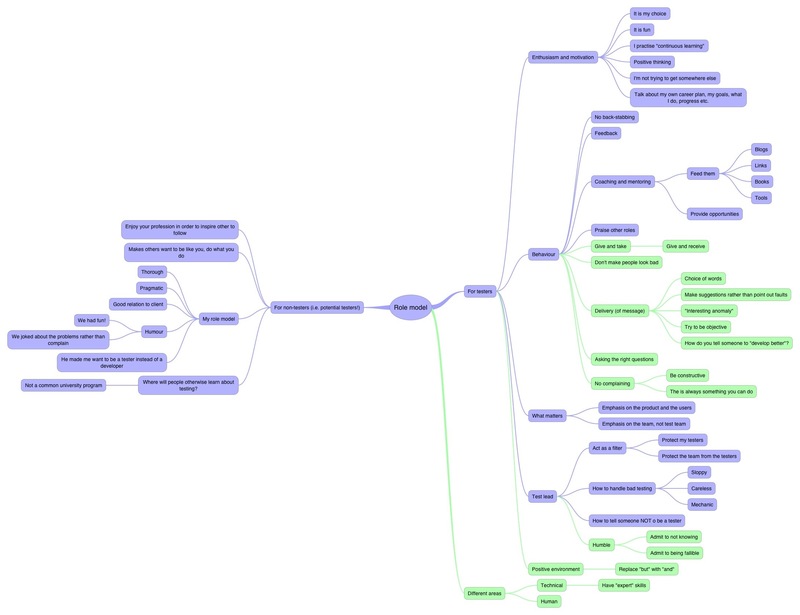 I tried to add these (in green) to the mind map. I would appreciate comments/additions from other discussion participants.